Make sure all your wiring is correct with the Power Gear Receptacle Tester. This 3-wire tester detects probable improper wiring conditions in standard 110-125 VAC outlets. Testing to make sure wiring is correct saves you time and prevents double work. The tester displays different lighting patterns to indicate what wiring problem (if any) is detected. A lighting chart is included on the back of the packaging to help you identify which reading you are receiving. 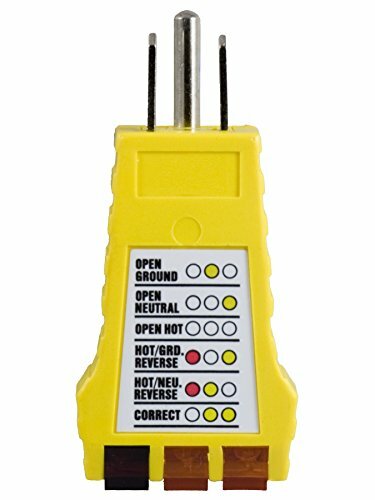 Please note that this tester does not indicate ground quality or reversal of grounded and grounding conductors. This product is UL listed.